Who the hell are The Suburbs? Some unknown band who won album of the year last night at the Grammys. Jeez. haha. just kidding. 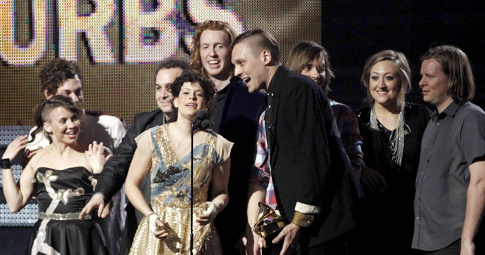 Congrats to Arcade Fire for winning album of the year last night for their record “The Suburbs”. -and before I forget, Happy Valentines Day. Yeasayer want you to give away their free EP to celebrate.